Angel Olsen On World Cafe : World Cafe Olsen's latest album, My Woman, made a number of best-of-2016 lists — and shatters any wrongful assumptions anyone may have made about her melancholy tendencies. Angel Olsen's latest album is called My Woman. 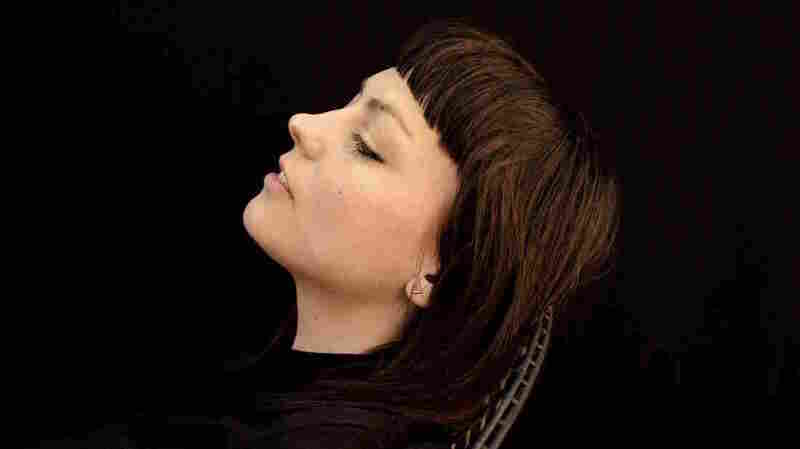 In 2014, Angel Olsen reportedly told her publicist that she didn't want to do any more photo shoots in front of trees. That was the year she released her breakout record Burn Your Fire For No Witness, a melancholy heartbreaker that, in some cases, got her pigeonholed as a sad country singer. And lonely photos in front of trees weren't helping. Enter Olsen's 2016 record My Woman, which shatters any wrongful assumptions anyone may have made about the North Carolina musician's melancholy tendencies. It features knockout vocals, driving guitars and a killer sense of humor that makes no apologies. Olsen is a tough-as-nails auteur with a distinct vision and the chops to execute it — from writing, arranging and co-producing My Woman to directing three of its music videos. She visited World Café to tear it up with live performances and to talk about rewriting her reputation, owning her vision and why she'll always find it easy to "be sad and complain."